Jason Landress is an experienced litigator and certified trial advocate who never loses sight of what is truly important-the needs of his clients. Compassionate yet tenacious, Jason has quickly established himself in the Colorado legal community as one who will not be intimidated. Jason leverages his skills and knowledge to speak up for those who need their voices heard; and stands up for those who cannot fight for themselves. Jason focuses on each client's individual needs and works tirelessly to obtain the best possible outcomes for each client. As a result, Jason has earned a distinguished reputation and the respect of clients, colleagues and adversaries alike. Jason graduated from Washburn University School of Law in 2008 and it was there that Jason discovered his passion for trial advocacy. Jason graduated from law school with a Certificate in Trial Advocacy from Washburn's Center for Excellence in Advocacy and was one of only 10 students selected to become a member of The Order of Barristers - a national honorary organization whose purpose is to provide national recognition to those who have excelled in advocacy. Jason began his legal career in 2009 as a Deputy District Attorney in El Paso County, Colorado where he successfully handled and tried countless criminal cases to a jury. In 2012, Jason took his talents to a prominent AV rated civil litigation firm in Colorado Springs, where he gained invaluable experience in the area of civil litigation. 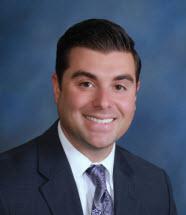 Since 2012, Jason has secured hundreds of thousands of dollars in civil settlements for his personal injury clients. In 2014, Jason was selected by the National Trial Lawyers Association for inclusion into The National Trial Lawyers: Top 100 Trial Lawyers which is an elite group composed of the premier trial lawyers from each state in the nation. Membership into The Top 100 Trial Lawyers is by invitation only and is extended exclusively to a select few of the most qualified attorneys from each state. Members of the Top 100 Trial Lawyers possess the knowledge, skill, experience and success held by only the finest and best lawyers in America. In 2015, Jason was selected by the National Association of Distinguished Counsel for inclusion into the Nation's Top One Percent of all practicing attorneys. This prestigious award is granted only to those attorneys who have demonstrated the highest ideals of the legal profession. Less than 1% of practicing attorney's in the United States are members of this esteemed group and are considered the "Nation's Top Attorneys." Jason has also been selected by the National Academy of Personal Injury Attorneys for inclusion into The National Academy of Personal Injury Attorneys: Top 10 under 40, which is an elite group consisting of the top 10 personal injury attorneys under the age of 40 in the State of Colorado.